The Renal Department at BMC is a nationally recognized research and training program in nephrology for more than five decades. Basic science research in the division focuses on the immunopathogenesis of glomerular diseases, structural biology of the glomerulus, mechanisms of autoimmunity, renal cystic disease and cancer, kidney development and mechanisms of cell injury in acute renal failure. 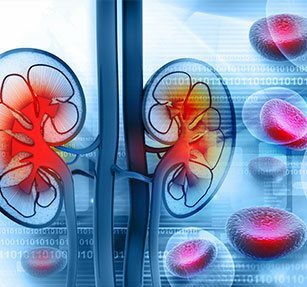 Clinical research includes trials evaluating new interventions in end-stage renal disease, novel treatments for renal amyloidosis, immunosuppressive medications in renal transplantation, investigation of the mechanisms underlying hemodialysis vascular access failure and studies of cardiovascular disease associated with chronic kidney disease. Physicians work with patients to discuss their individual candidacy for clinical trials.